Posted on June 14, 2013 June 14, 2013 by JM RandolphPosted in wuv tru wuvTagged 50th birthday, accidentalstepmom, cremains, family, fathers day, in-laws, JM Randolph, kids, parenting, stepmom blog. Great post, as always, Julie! Your respect for the dearly departed was beautifully (and humorously) expressed. I’m sure they would have adored you, maybe even revered you a little: a woman who would take on a step-family of five and such daily chaos, all for the sake of love. My family acquired a couple of boxes like that way too early. Their final resting place was a beautiful river in the Adirondack Park. Seems a lot of people’s remains end up being cast into the water … so maybe it’s not global warming that’s making the level of the ocean rise after all? Happy Birthday CC! Glad the whole family could be together to share your special day! Happy birthday to the light of your life! Great post. I laughed at how the kid went to bed. Happy Happy to your CC!! And what a lovely tribute to the people who made him. I couldn’t think of a better birthday present for your man. Beautiful post, JM. Well done! This was lovely – funny and touching, just like life is supposed to be. Happy Birthday to your sweetie! Tell him 50 is no biggie. 53, however…. I love how I went from sniffling (at the 50th birthday paragraph) to laughing aloud. I had to read the conclusion aloud to Anthony, who’s still chuckling. When my mother passed we had her cremated because 1: we weren’t sure what she wanted and 2: couldn’t afford a catholic funeral/service. We had to divide her cremains and I always wonder if that’s similar to cutting a body into pieces. 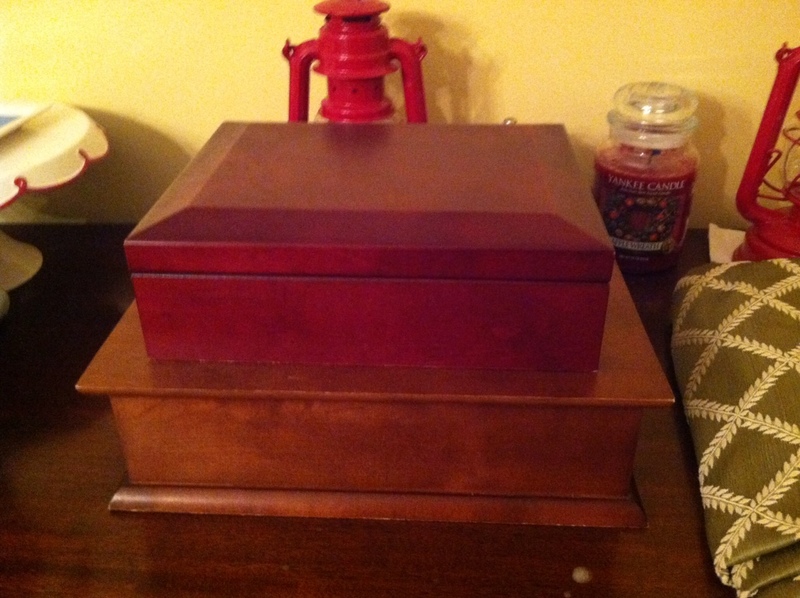 Turns out urns are just as expensive as the most affordable funeral. My sister and I took to Big Lots and found these (in other circumstances, totally worthless) vases with openings just big enough for a shaved down cork. Now my mom sits in one of her favorite things-some cheap home decor.